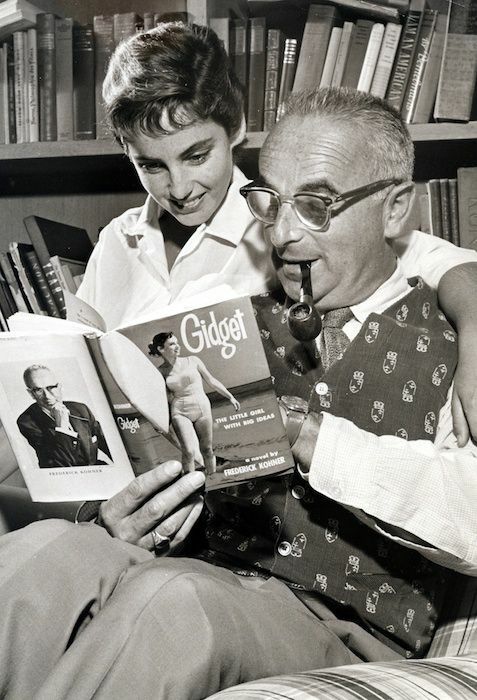 Screenwriter Frederick Kohner with his daughter Kathy, who served as inspiration for Gidget. Kathy’s father was Hollywood screenwriter Frederick Kohner, who was nominated for an Academy Award for his screen play “Mad About Music” (1938) starring Deanna Durbin, Herbert Marshall and Gail Patrick. Kohner’s Hollywood credits also include Durbin films “It’s a Date” (1940), “Nice Girl?” (1941), “The Men in Her Life” (1941) starring Loretta Young, the Claudette Colbert and Robert Young film “Bride for Sale” (1949) and “Never Wave at a WAC” (1953) starring Rosalind Russell. Kohner was born in Austria-Hungary, where he was already a writer with film screen credits before coming to the United States. He left Europe when Nazis started removing Jewish screen credits from films. His brother, Hollywood agent Paul Kohner, helped Kohner come to the United States, along with their other brother Walter. Paul Kohner is the grandfather of directors Chris and Paul Weitz and father to actress Susan Kohner, star of “Imitation of Life” (1959). Kathy’s summer adventures were weaved into the fictional story titled “Gidget: The Little Girl with Big Ideas” about a young girl who felt like she fit in best with the surfers and had a romance with a surfer named, Moondoggie. In the book, the character’s real name is Franzie, which was the name of his wife. 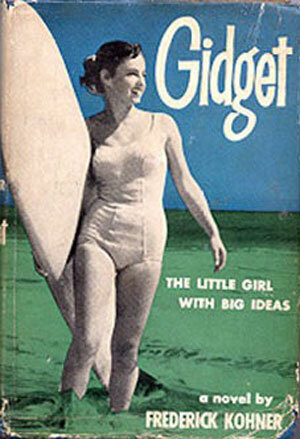 The 1957 cover for “Gidget: The Little Girl with Big Ideas,” featuring Kathy. The book is still available on Amazon. The book is based on some truths, but a good bit was fictional. 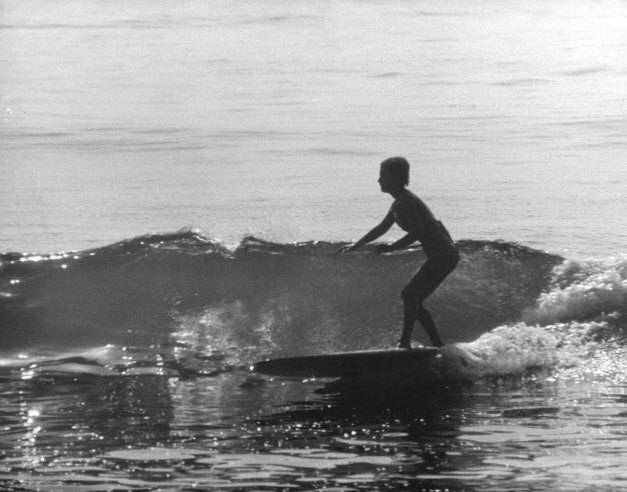 For example, Kathy had a crush on a surfer but they never dated, as suggested in the film series. When the book hit the shelves, it was an immediate best-seller, but Kathy does not claim that success. Kathy was in college in Oregon when the film starring Sandra Dee was released, but she had the opportunity to meet the stars. 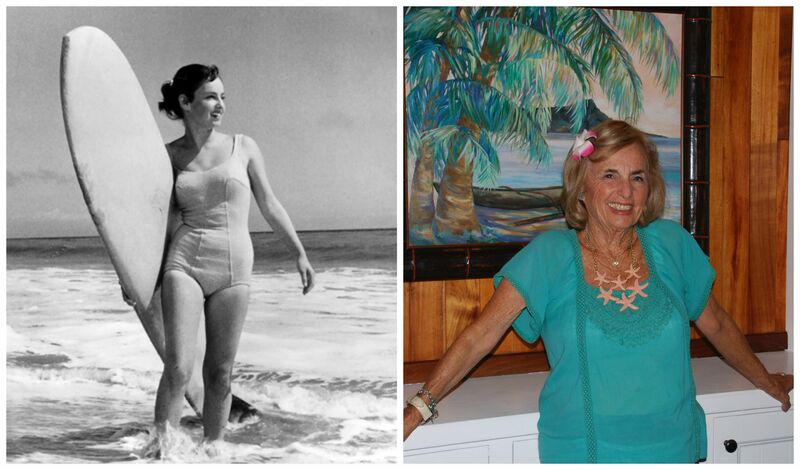 She remembers Dee as being sweet and considers her the best of the Gidget actresses. In comparison, Dee’s Gidget was sweet, demure and kind while Kathy said she was more of a tomboy. 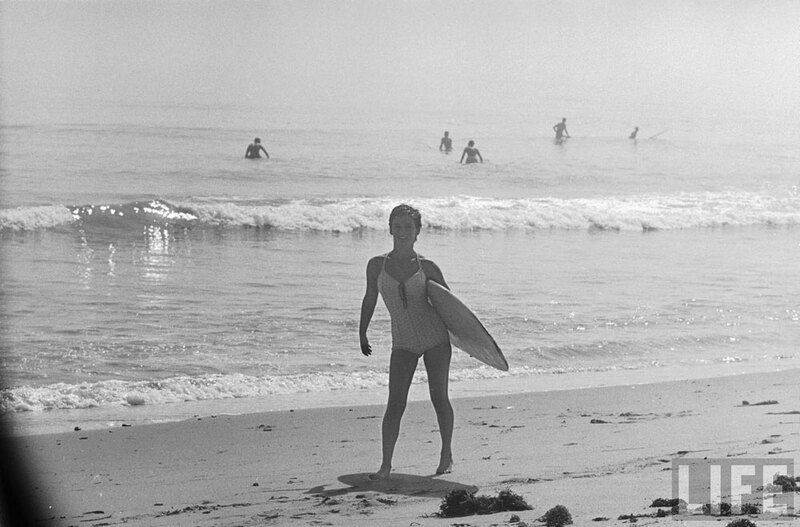 With the “Gidget” film came beach music, a mass interest in surfing and more beach films, such as the Frankie Avalon and Annette Funicello movies. She hasn’t surfed in a few summers, but the spirit still lives on in her daily life. You can buy the book “Gidget” by Frederick Kohner on Amazon. Another photo of Kathy from the Oct. 28, 1957, LIFE magazine. This entry was posted in Classic Film Interviews, Gidget, Star Profile and tagged Frederick Kohner, Gidget, Kathy Kohner, Kathy Kohner Gidget, Kathy Kohner Zuckerman, the real Gidget by Jnpickens. Bookmark the permalink. Really loved reading this. So glad you had the chance to interview her, great stuff.